As we strive to achieve our 2025 strategy of being the preferred world leader in chemicals, SABIC is dedicated to the highest standards of ethical, social and environmental responsibility. Both new and existing suppliers are evaluated and selected for reasons beyond just the price and quality of the product and/or service offered. We also look closely at each supplier’s commitment to provide safe working conditions, to act fairly and ethically, and to use environmentally responsible practices. Our Supplier Registration Process ensures that all suppliers working with SABIC (now or in the future) demonstrate the highest level of commitment to provide safe working conditions. Suppliers incorporated in the KSA use the following link for registration through SABIC’s Supplier Life Cycle Management “SLM” system. For Suppliers who are incorporated outside the KSA use the following link for registration through Achilles. Confirm that our suppliers are committed to the principles as articulated in the SABIC Supplier Code of Conduct. Confirm our suppliers operate to the highest ethical, safety, security, environmental and labour standards and adhere to anti-corruption principles. Check the compliance status of every supplier consistently. SABIC has worked with Achilles to develop a Supplier Due Diligence programme that meets the needs of our global business. This programme will deliver the supplier intelligence we need to advance responsible sourcing practices across our business, ensure a compliant supply chain and make sure we continue to invest in the right suppliers to support our growth globally. Achilles communities bring together buyers and suppliers through an efficient pre-qualification process. Publishing your profile in the Achilles community provides you with a simple, streamlined mechanism for submitting information to buyers to support procurement decisions. It also gives them the opportunity to benchmark your performance against the agreed community standard, and work towards year on year performance improvements. Your profile will be visible not only to SABIC but also other major buying organisations in the industry. You may be required to provide details related to your company’s policies in the areas of EHSS (environment, health, safety and security), labour rights and/or ethics and compliance. To Ensure that our suppliers have the technical capabilities that meet our standards to mitigate operating risk and ensure business sustainability. Based on provided information during step 1. The level of technical qualification will be determine , and site visit will be conducted if required. Receive request for bid and submit bids online. View and accept purchase orders Submit invoice data to facilitate payments. Supplier will receive two notification emails in order to get access to the SABIC System. As a result, supplier will be able to amend their details and upload their invoice. 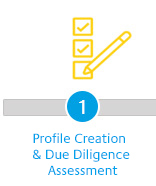 For any queries related to due diligence or updating your Achilles profile, please contact Achilles. Following on from the message you recently received about the SABIC Supplier Registration Process, we notice that you haven’t started Step 1 yet. Yes you may be aware, there are 3 steps to complete, and we want to help you progress. You will only receive your SABIC Vendor ID once you have completed all 3 steps. Completing the Supplier Registration Process does not guarantee business with SABIC. Visit the SABIC website to learn more about the Supplier Registration Process. 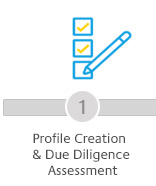 You can go to Quick Start Guide, and make a start with your Due Diligence questionnaire. Alternatively, contact us on the details below if you have any questions –we’re here to help. Below you will find more information on our supplier qualification process. You will only receive your SABIC Vendor ID once you pass qualification step.